This summer has been pretty weak so far in terms of big-budget blockbusters but, maybe the horror genre will save it. The Conjuring 2 was great and soon, Lights Out will be here. A new trailer is out and, no, it’s not as good as the last few, but it’s still ultra effective. 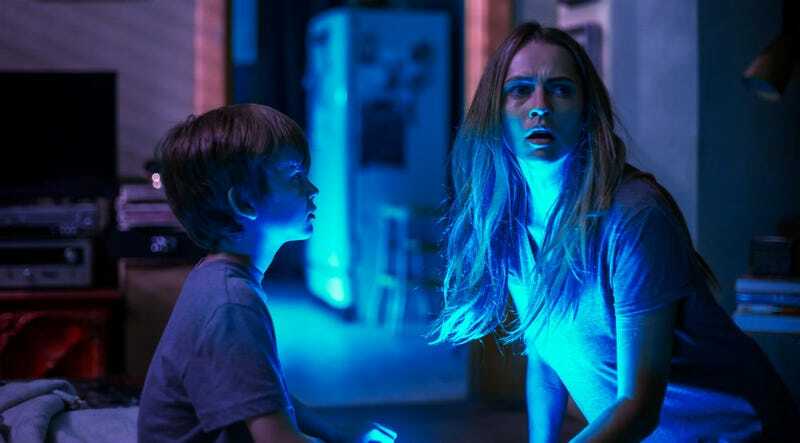 Directed by David F. Sandberg, Lights Out is based on an absolutely terrifying short film and the first few trailers have been equally intense. This one is comparatively low-key, but it gives us a sense of the story, and July 22 can’t get here soon enough.